Charity begins at Home with Aer Lingus. Aer Lingus were the visitors for the Bea Cup match, and this promised to be a closely fought affair. Mark started the ball rolling by falling to the old hide the checking Bishop behind a pawn trick and lose the Queen Act. He is currently walking home looking behind the hedges….sorry…. pawns!!! Don’t worry about it young man. Robbie seemed always in control, but his opponent kept finding defensive moves to prolong the game though you need more than tenacious defence to stop Robbie these days, continuing his rich vein of form this year. 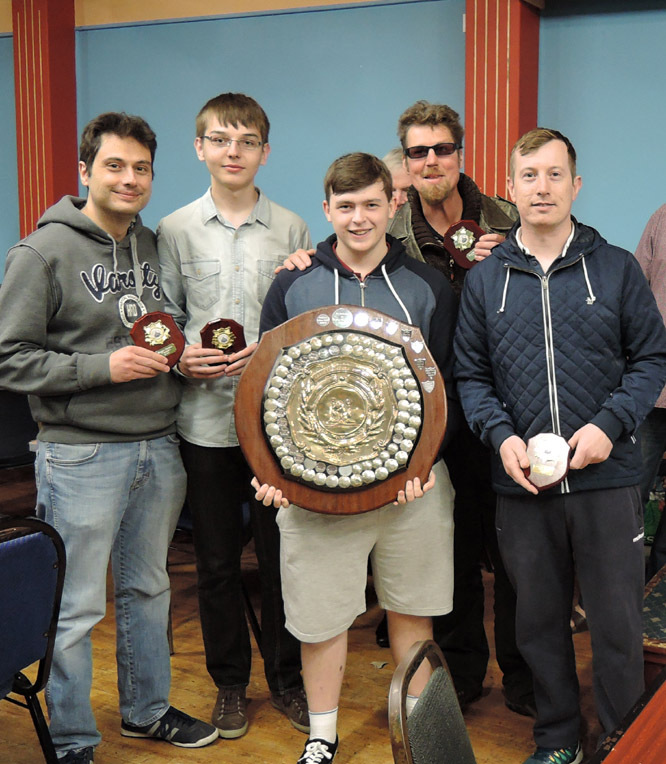 His son Sean produced a commanding performance on top board to defeat Gearoidin Ui Laighleis, the 2015 Irish Woman’s champion in a pulsating game. 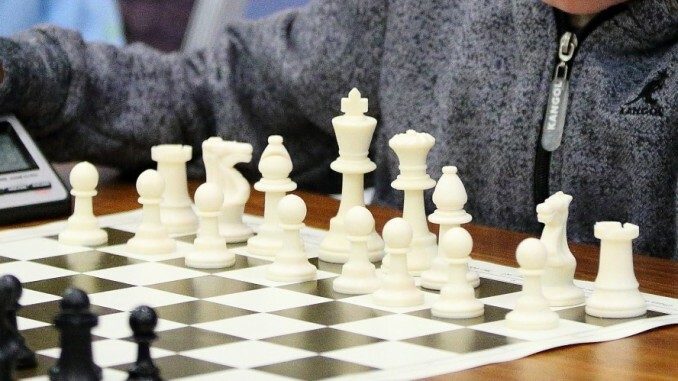 Stefan followed this with a tough win over a resolute opponent who having worked his way back into the game, then moved his holding Rook from the fifth rank and walked into a mate in one trick on the e5 square. Gavin was also involved in a lengthy match, having been better placed for most of it, he then forced a sequence of winning exchanges but forgot about a backward knight jump which not only holds everything but you watch with horror whilst your last piece leaps off the board for nothing routine, All in all, a 3-2 win is a good result against one of the main promotion chasers. “Anything you can do, I can do better” No you can’t!? Yes I can! !